Fred Smith's "Foster Tree" is a photo gravure, one of the pieces in "By the Board," works by board members of the Honolulu Printmakers, on exhibit at the Louis Pohl Gallery. ONE THING you're sure to see at "By the Board," an exhibit by board members of the Honolulu Printmakers, is variety. The show offers works that range from the solemn to the whimsical, via the elegant presentation of black-and-white, as well as the vibrancy of color. 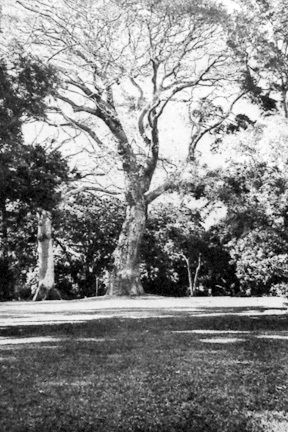 Fred Smith's photo gravures of familiar spots on the island, for instance, are made moody by the use of black and white. In contrast, Maile Yawata's "Miss Z" is playful, bright and colorful. Along with Smith, Michael Harada and Hans Loffel are among the artists who deal with local subjects. Harada's "Folks You Meet at Longs" is a relief print depicting four faces that really do look like people you could run into at Longs. Hans Loffel's "Surflines" is a monotype that combines a reference to the blue of isle sky and ocean with the linear construction of an abstract painting. "By the Board" is showing at the Louis Pohl Gallery, at 1111 Nuuanu Ave., through Oct. 1. Gallery hours are 11 a.m. to 6 p.m. Tuesdays to Saturdays. Call 521-1812 or visit louispohlgallery.com for more information. 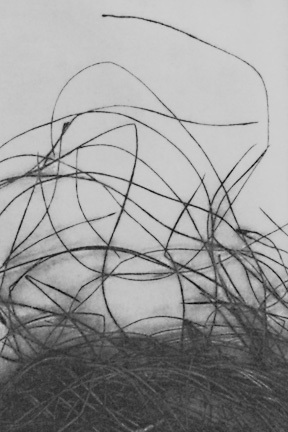 "Untitled 2," by Elizabeth Nakoa is a photo-etching. 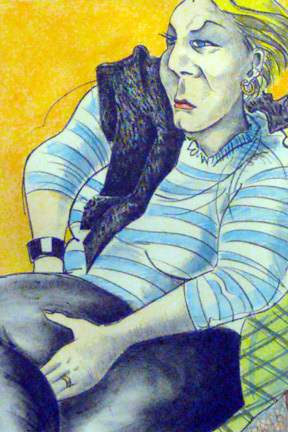 Maile Yawata's "Miss Z," a lithograph with hand coloring. 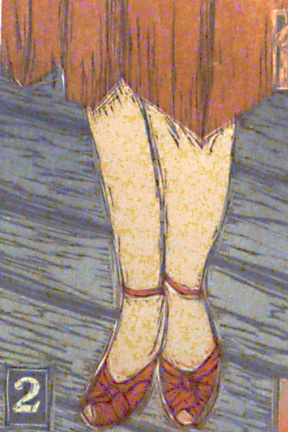 Laura Smith's woodcut work is titled "What she took: shoes."